Tribest Personal Blender PB150 is small and compact. It is a high-powered smoothie-blending, coffee-grinding, sauce-making wonder that is great for whipping up cool and refreshing smoothies plus lots more. It`s unique BPA Free blend-n-serve cups enables you to blend different recipes for each family member without having to stop and clean a bulky blending jar each time. Simply pop all your ingredients into the blending cup, secure the lid, blend and enjoy. It`s so simple. The blades in this blender are completely enclosed during operation, making it impossible to come into contact with the spinning blades. Tribest Personal Blender PB150 has 2 modes of operation: choose from pulse or continuous mode for blending and grinding to your perfect consistency. The powerful 200 watt motor effortlessly blends through all ingredients, including ice for cool and refreshing smoothies. Plastic blending cups are BPA (Bisphenol-A) Free and virtually unbreakable. Dimensions: 25cm (Height) x 12.4cm (Width) x 12.4cm (Depth). 450ml BPA free plastic blending cups x 2. Blending cup lid x 1. Commuter sipping lid x 1. Below are reviews of Tribest Personal Blender PB150 - BPA FREE by bodykind customers. If you have tried this product we'd love to hear what you think so please leave a review. 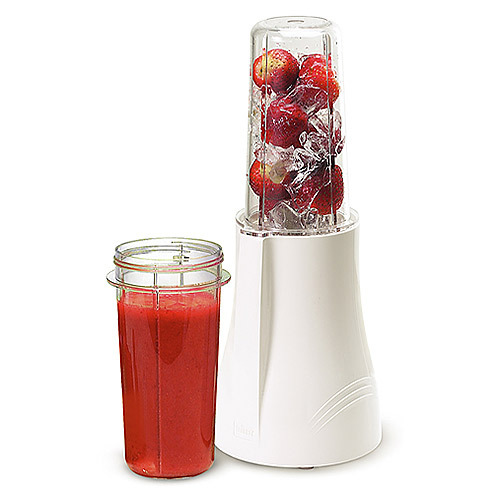 Tribest Personal Blender PB150 is small and compact. It is a high-powered smoothie-blending, coffee-grinding, sauce-making wonder that is great for whipping up cool and refreshing smoothies plus lots more.